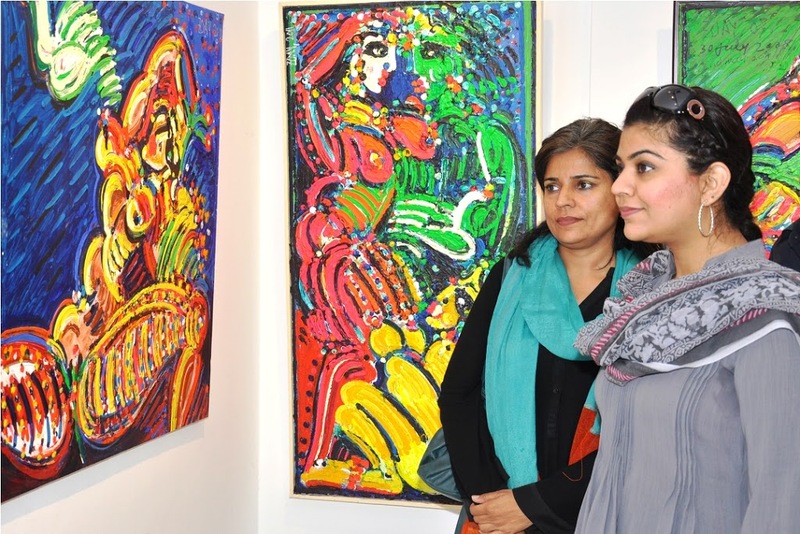 Islamabad – With the largest solo exhibition of Pakistan’s renowned artist Ahmad Zoay, Gallery Louvre has stepped in Islamabad’s art and culture scene. “Gallery Louvre is a new comer to the capital but has been part of art scene for over a decade” told Salim Lalani, one of the curators at the gallery. The first Louvre entity was launched in 1999, in the heart of Karachi city, and since then, it is regarded as one of the recognized names in the art galleries of Pakistan. The gallery, located in the posh area of the capital city, has carefully selected the recent works of Ahmad Zoay for its first exhibit, as the bright multi-coloured canvases not only refreshes the soul but also leaves one with a very pleasant feeling for a long time. The art show that opened on Friday evening would continue for a month. Alina Saeed, the curator, termed the exhibition as Zoay’s largest-ever, featuring a bold and dazzling collection of paintings that offer glimpses of the labour of love of a master painter, whose work has matured over a period of 37 years. Artist’s twenty fourth solo show comprises of 46 vibrant paintings that are culturally relevant and his concepts are contemporary in their approach. His strokes pulsate against the canvas to invoke a fable of female that been long lost in occidental illusions. In the words of Marjorie Hussain, an art critic: “exuberant blending of opulent shapes and dazzling color combinations are the signature components of Ahmad Zoay’s work. His lush figures are created from the sweeping lines of impasto dots and marks that from traces of ethnic patterns articulated with definite feelings.” Zoay’s images are intense, referring to an elemental passion that transcends human emotions. Born in 1947, Zoay possesses a unique vision of the world. Transferred on canvas, this vision is extremely bold and colorful with strong sweeps and dots which form both living shapes and objects that leave an everlasting impression. showcasing the artworks of Ahmad Zoay. Zoay’s first solo exhibition of sculpture and paintings was held at Lahore Arts Council in 1974, which expressed and experiences of young nomad artist after his first hippy trail journey through Afghanistan, Turkey on to Germany and other parts of the world. Afterwards, nomadic lifestyle became the way of life for Zoay; he never stayed long in any one place, crossing the boundaries and the borders. His drawing skills earned him a welcome in the group of Flower Children he encountered. 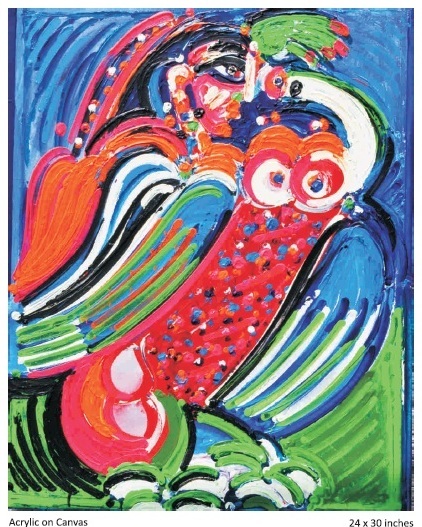 Zoay’s paintings are inspired by his childhood memories of arresting colors and his experience as a flower child nomad. Zoay’s works have been displayed in various art galleries around the globe particularly in Germany, Holland, Sweden and Italy. His recent exhibition would continue at House no. 8, Street 41, F-6/1, till November 14, from 11 a.m. to 7 p.m.